This paper studies the unification problem with associative, commutative, and associative-commutative functions. 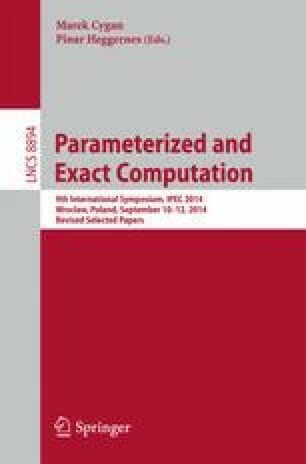 The parameterized complexity is analyzed with respect to the parameter “number of variables”. It is shown that both the associative and associative-commutative unification problems are \(W\)-hard. For commutative unification, a polynomial-time algorithm is presented in which the number of variables is assumed to be a constant. Some related results for the string and tree edit distance problems with variables are also presented. This work was partially supported by the Collaborative Research Programs of National Institute of Informatics.